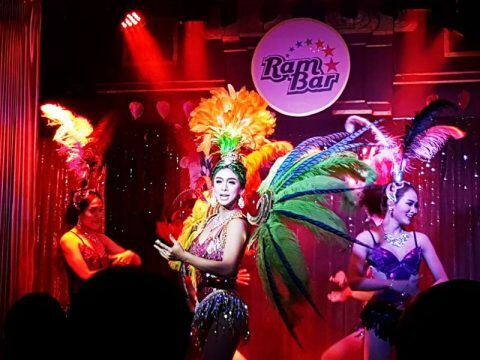 This is an informal gathering of members of Chiang Mai Gay Men’s Group from Meetup and a large list of local expats who come together to socialize and have brunch. The group will meet as normal at Kad Suan Kaew, but at 11:30 will proceed to The Grand View Hotel for a buffet Lunch starting at 12:00 noon. 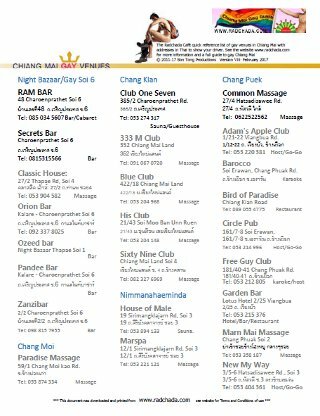 You can also go directly to the hotel. For the lunch numbers are needed by the hotel. If you wish to attend please contact the group either by email or using the form below to register. Latest dat for registrations is Wednesday 6 February. 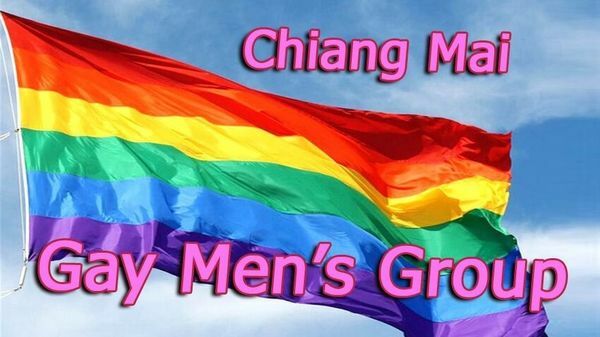 The Chiang Mai Gay Men’s Group warmly welcomes gay men, lesbians, bisexual, transgender persons, and their friends. 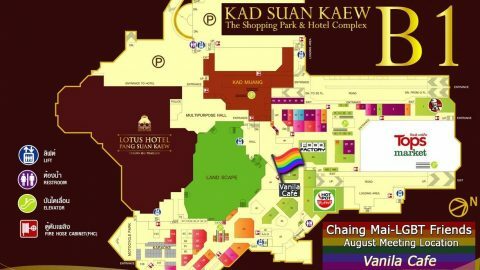 We meet regularly every Saturday morning at 11:00 AM in the large open area adjacent to Vanilla Coffee Shop on the lower level of Kad Suan Kaew Shopping Center. Newcomers are invited to come to these Saturday social get-togethers for a one-time visit, or regularly, and to have your name added to the membership roster of the Group. The objective of the CMGMG is to foster and develop friendships amongst the LGBT community in and around Chiang Mai, both expats and Thai. In addition to the regular Saturday meetings, we strive to organize a variety of social events at various times throughout the year; such events will be announced to the membership of the Group.